1. 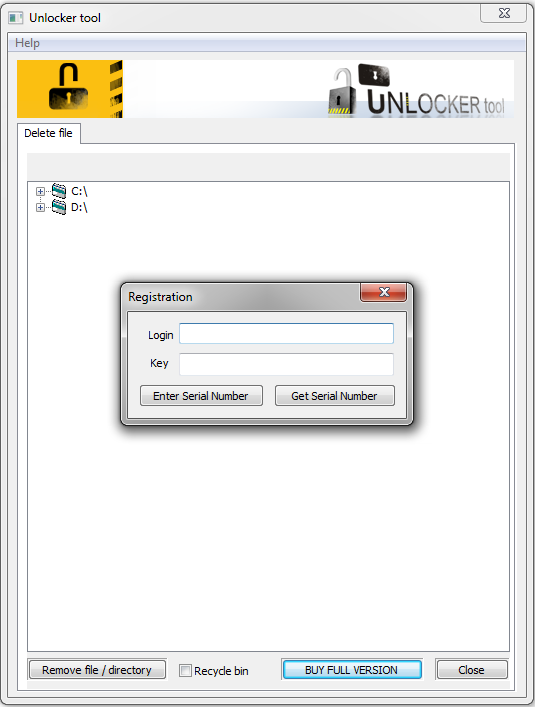 Open programs, Unlocker Tool, click “BUY FULL VERSION” and enter serial number. 3. You can remove file from your PC or choose checkbox ‘Recycle bin’ and file will be moved into recycle bin. 4. 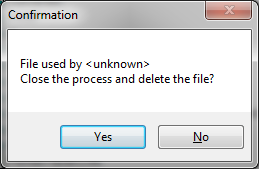 When file has been used by another process, you can identify that process, stopped it and delete file that you need.